The clinical definition of detoxification, as provided by the Centers for Disease Control and Prevention’s Agency for Toxic Substances & Disease Registry, is “the process of removing a poison or toxin or the effect of either from an area or individual.” The term “detoxification” (or detox in short) is frequently used in today’s society and refers to various things like weight loss, recovery from addiction, or a cure-all for various non-specific illnesses. According to an article published in 2014 in the Journal of Human Nutrition and Dietetics, certain foods such as nori, olestra, and coriander have been found to have detoxification properties. The flavonoid phlorizidin is present in apples, which stimulates the production of bile. Apples also contain pectin, which is a soluble fiber. The consumption of pectin helps eliminate metals and food additives from the body. Quercetin, a potent antioxidant, is also found in apples and protects against neurodegenerative diseases. The presence of betalin pigments in beets promotes the body’s detoxification process. An enzyme family called glutathione-S-transferase (GST) is involved in neutralizing toxins in the body and making them water-soluble so that they can be excreted in urine. Betalains present in beets encourage GST activity. 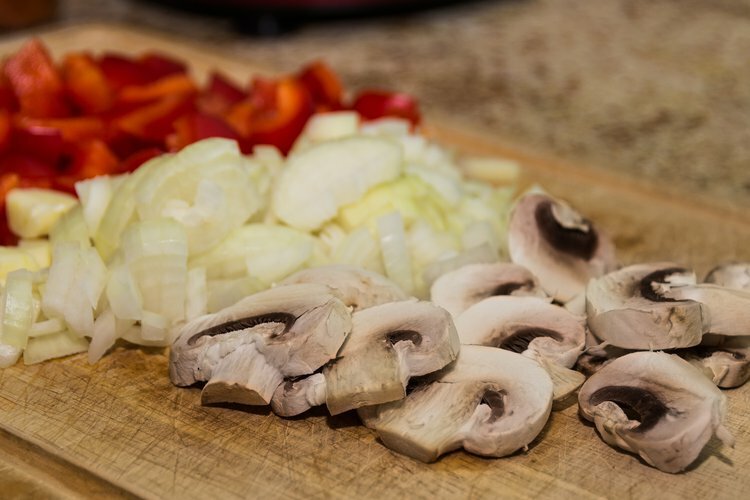 The fermentable fiber and oligosaccharides present in mushrooms take up the role of prebiotics in the intestine and fix useful bacteria in the colon. This enables proper digestion and regular bowel movements. Rich in fiber, broccoli helps in the elimination of toxins and carcinogens from the body. It contains glucosinolates that aid the liver in the production of enzymes for the removal of toxins. It is also a good source of vitamin E, which is required by the liver for its activity. A study published in Cancer Prevention Research in 2014 showed that broccoli sprout beverage enhances the body’s detoxification of air pollutants, such as benzene and acrolein, in Chinese men and women. The flavonoid quercetin is present in onions, which helps in the elimination of free radicals from the body. Based on studies conducted at The Queen’s University in Belfast and Wageningen Agricultural University, onions have been found to contain between 22.40 mg and 51.82 mg of quercetin per 100g. Eating onions daily causes an accumulation of quercetin in the blood, as observed by researchers at Wageningen Agricultural University. Foods, such as kale, collard greens, spinach, chard, arugula, and romaine, are rich in chlorophyll. These aid in liver function and neutralize toxic chemicals, pesticides, and heavy metals. Kale also contains glucosinolates that support the body’s detoxification system. Based on the abundance of potential health benefits from these detox substances, it makes sense how recent detox diets or cleanse diets have gained such popularity. Eating foods that support and promote the body’s normal detoxification mechanisms is a great way to protect the liver from additional burden of toxins. Klein AV, Kiat H. Detox diets for toxin elimination and weight management: a critical review of the evidence. J Hum Nutr Diet. 2014 Dec 18. doi: 10.1111/jhn.12286. [Epub ahead of print] PubMed PMID: 25522674. Inan, F., Pala, M., & Doymaz, I. (2007). Use of ozone in detoxification of aflatoxin B 1 in red pepper. Journal of Stored Products Research, 43(4), 425-429. Marsh, K. J., Wallis, I. R., McLean, S., Sorensen, J. S., & Foley, W. J. (2006). Conflicting demands on detoxification pathways influence how common brushtail possums choose their diets. Ecology, 87(8), 2103-2112. Spano, G., Russo, P., Lonvaud-Funel, A., Lucas, P., Alexandre, H., Grandvalet, C., ... & Rattray, F. (2010). Biogenic amines in fermented foods. European journal of clinical nutrition, 64, S95-S100. Safara, M., Zaini, F., Hashemi, S. J., Mahmoudi, M., Khosravi, A. R., & Shojai-Aliabadi, F. (2010). Aflatoxin detoxification in rice using citric acid. Iranian journal of public health, 39(2), 24.